Cups / Others / The Masters to battle it out! The Masters to battle it out! 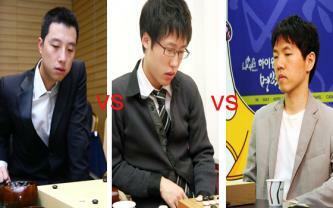 The Meijins (Masters) from Korea, China and Japan are going to battle in a tournament to decide the World Master. One of Lee Changho from Korean, Gu Li from China or Iyama Yuta from Japan will take a prize of about 50,000 USD. I bet for Iyama Yuta? it's just like relativity theory once he will win. I think Gu Li will bag this one. On a different note - this promise to be a very interesting competition format. What time settings will be used? It would be very interesting to see a title-match with a two day playing schedule. Would Japan be favored by such time settings or not? After all - a two day match demands quite a bit of stamina and routine from the players; at least that is what I believe. Championships but I think Gu Li has also good possibilities to achieve this goal. Hmm the last time i saw Gu Li vs. Lee Chang Ho it was a game which Lee Chang Ho won. Iyama Yuta is a new face on the international area. Maybe he lacks international experience because all result which i found about Iyama are not positives result. So Gu Li or Lee Chang Ho will take the title.